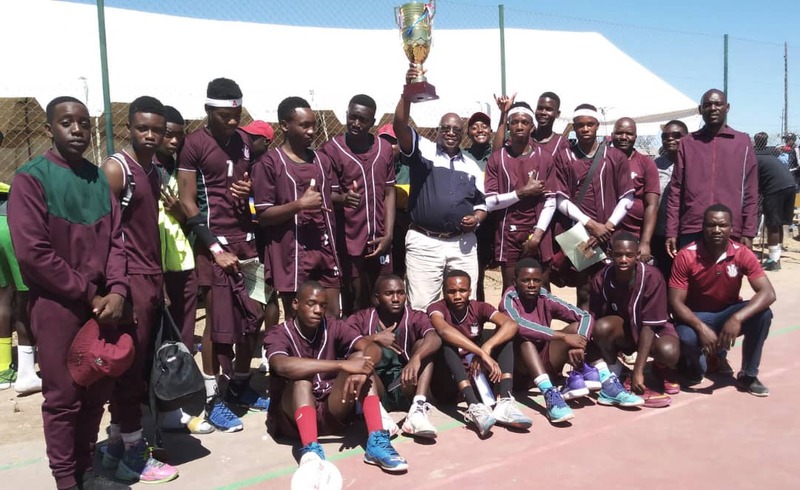 PRINCE Edward Jaguars showed their dominance in high school volleyball after being crowned NASH Under-20 and Under champions for 2018 at Luveve High in Bulawayo. A total of 12 schoolboy teams represented all provinces at the tournament and were grouped into four pools of three teams each. PE Jaguars, coached by Rody Mutyakureva, qualified to the quarter finals with convincing 2-0 wins in all of their group games against Cherutombo High of Mashonaland East and Mazowe High of Mashonaland Central. Ronald ‘Yala’ Makombe, the setter for PE Jaguars, stole the show and was probably the best setter for the tournament. Makombe thrilled the crowd with some eye-catching soft touches that earned him many fans. The tourney attracted volleyball fanatics and a small crowd that cheered in awe despite spirited efforts from hosts Luveve High who lost 2-1 to the PE Jaguars in the quarter final stage. PE Jaguars would meet traditional rivals Churchill Bulls dogs in the semi-final in what was termed a final before a final. The Jaguars massacred Churchill 2-0 to set up a final date with Msengezi. The championship was tailor-made for PE Jaguars who outclassed Msengezi 3-1 in the final. Malven Chibondo was awarded the best receiver individual prize for his fantastic sprawls that dazzled the watching crowd.